History as most generally practiced is about interpretation of the “facts” (or data or evidence — the distinction is important and was discussed at some length in comments here). Historians seek out evidence from sources of identifiable provenance: diaries, police records, government papers, newspapers, etc. 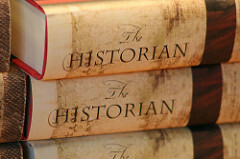 The nature of the sources, the provenance of the sources, are important for the historian in knowing how to assess the reliability or biases of those sources. The debate among historians of Australian history over the extent of massacres of aboriginal peoples is about interpretation of the “facts” — the facts being the tangible documentary evidence.